Hosted by: Alison can read. Q: What are you reading right now? How do you like it? Mercedes Lackey - The fairy godmother. Stefan Bachmann - The peculiar. An unconventional woman. A deadly enemy. A clash of intrigue, deception, and desire..
1525: Artist Susanna Horenbout is sent from Belgium to be Henry VIII’s personal illuminator inside the royal palace. But her new homeland greets her with an attempt on her life, and the King’s most lethal courtier, John Parker, is charged with keeping her safe. As further attacks are made, Susanna and Parker realize that she unknowingly carries the key to a bloody plot against the throne. For while Richard de la Pole amasses troops in France for a Yorkist invasion, a traitor prepares to trample the kingdom from within.Who is the mastermind? Why are men vying to kill the woman Parker protects with his life? With a motley gang of urchins, Susanna’s wits, and Parker’s fierce instincts, honed on the streets and in palace chambers, the two slash through deadly layers of deceit in a race against time. For in the court of Henry VIII, secrets are the last to die.. I'm obsessed with everything that has to do with The Tudors, so when Michelle emailed me if I wanted a copy from her two books, I was thrilled. I'm almost done now and I love it! It's such a shame that I have to go to school, because I can't read as much as I want to. The conspiracy lies deep within the trusted circles of the King and it's up to Susanna and John to find out who is behind the attacks, before they both die. It's fascinating to see how the court is; filled with snakes, trying to profit from everybody in order to get more money, land and status. Definitely recommended if you like The Tudors and Philippa Gregory. My review is coming soon, so stay tuned if you want to know more! And link me up with your FF. Happy weekend! That sounds really good. I love historical fiction! You made me very intrigued! This will go to my huge TBR pile! Oh wow, that looks like a great book. The cover is really nice. All of these books look pretty interesting. I haven't heard of your lead book before. Looks interesting, though I've never heard of it. Thanks for stopping by! I prefer to watch rather than read stories like this. The blurb for this book sounds awesome though! This sounds fun! I love things set in that time period. New follower! Interesting! Haven't heard of that one! Also, I'm so glad to get some positive feedback on Entwined! Part of me gets nervous reading YA because there is such a huge market for it these days, a lot of it ends up not being very good. Sounds like I picked a winner :) Yay! I feel you on the school thing. My book load has gone up so much since school started and I have almost no time to read anything. This books sounds awesome. I haven't heard of it but I think I may have to check it out soon. Thanks for checking on my blog!! Haven't read this one but it sounds like something I might enjoy! New follower :) Thanks for stopping by my blog! I used to read books based on the Tudors all the time. I should pick this up again. This sounds interesting, will have to check t out. I also read more than one book at a time! This one sounds really interesting, hope you love it. @_@ I love historical fiction, and I don't read nearly enough of it. 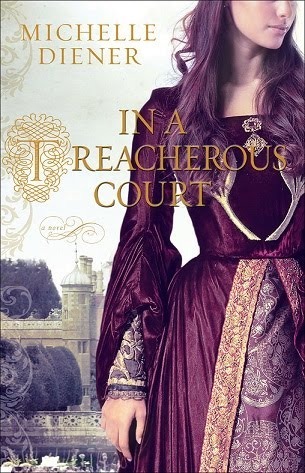 'In a treacherous Court' sounds like a good read! Thanks for stopping by my blog, I'm now following you via GFC and Linky! That sounds interesting, and the cover is gorgeous! This sounds great. I love historical fiction and will have to add this to my TBR list. Hey! Thanks for stopping by my blog. I'm following you now, and would love it if you followed back! You're really going love the Infernal Devices series! Oooh! I love love love historical fiction books! I really loved The Other Boleyn Girl! Thanks for following! Followed back! I usually don't read Historical Fiction, but maybe I'll start soon :D Thanks for sharing! ~ Rachael Madison @ Moosubi Reviews! I love the Tudors too, but don't get to read about them that much. My YA habit takes over....Thanks for visiting. Happy reading! Sounds fantastic-- I love anything w/ the Tudors or Henry VIII's court... have you seen the Showtime show The Tutors? (I love it!!) Definitely adding it to my tbr. New follower following you back, and can't wait to read more. I love the kingdom series by Lackey. So cute! I hope you love it! I also read many books at a time but surrently, I can only handle a few. I haven't read a good historical fiction book in a while. It's seems like another addition to my TBR pile :) Thanks for the blog stop! Hm.. Haven't of this one before. But I hope you enjoy reading! Thanks for stoppin by my FF. Oh wow, what a cover! I'm flat out reading one book, can't do several. You must be a person with many talents!! Oooh, I love the cover of what you're reading right now! That looks amazing. May have to put it on my list. Thanks for stopping by. I am a new follower. Oooh fellow Tudor obsessor! I know, not a word lol! This sounds like a great historical fiction with an interesting leading lady. 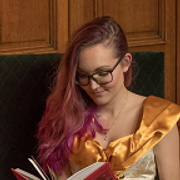 Have you read Ariana Franklin's Mistress of the Art of Death books? They are also great historical reads.